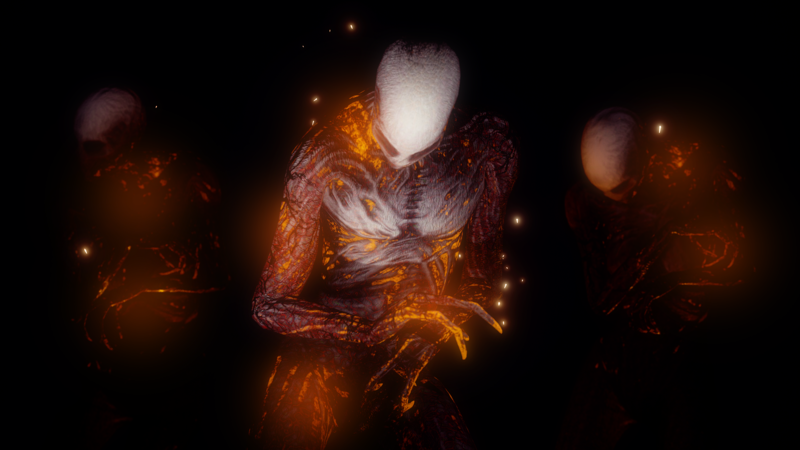 Faceless is a Greenlit Supernatural Mystery on the Unreal Engine 4 which sees players attempting to survive alone, or with up to three friends in Wakeland City to try and find Daniel North. Having followed his documents, the players must find Dolls in each location and deliver them to the Ritual Zones to set the trapped souls within free, thus completing Daniel's quest and bringing the survivors one step closer to learning his whereabouts. Upon burning all the Dolls, The wounded Soulrender will be forced to depart from the immediate area... But not until after it has frantically tried to stop you. The less its about Slenderman the better if you ask me, that's been overdone and overused. Good to see something original. Absolutely 0% Slenderman at all, this is due to a Cease & Desist we received a while back now, and I'm proud of what we've done since. We won't be revealing the main monster yet! That is indeed the style and impression we're hoping to convey to the audience. Glad to see this project having improved so much since the early days back in 2012. Best of luck with it guys! "A single injury like a cut from a paranormal entity, and you’re doomed. It corrupts your body, turning you into one of the Anomalies when you die."